Team Building Tip: Take Time and Say Thank You. Recruitment and retention specialists will tell you that compensation alone will not secure high performing teams. People like to be recognized by the organization for both effort and results. Recognition can be in many forms including awards and praise. Take Time and Say Thank You. The key point is to provide the recognition regularly and do it sincerely as false praise can harm morale equally. By having regular times that you get together with staff you can share milestones and progress made. You can discuss things needing to improve, and go over lessons learned from the past and you can take time to say thank you. They need to hear it from you and they need to hear it from each other. Celebrate success with fanfare and exclamation. By emphasizing the achievement of the team goals, the message will be clear. Allow for others to provide positive and constructive feedback as well. Find out what each staff member is thankful for. Some do this at home at Thanksgiving every year, but it is also important to do in the workplace. Ask each staff person to find something about their job they are thankful for. You’ll be surprised how different the answers will be. It will energize everyone. Team Building Helps You Say Thank You! There have been numerous studies conducted over the years regarding the role high (or low) morale plays in employee productivity. According to a study by Bright Horizons, employees with high morale are more productive: 89% more likely put in extra effort and extra hours at work. Researchers at the University of Warwick, meanwhile, have found that happiness makes people an estimated 12% more productive. Click Here to learn more. 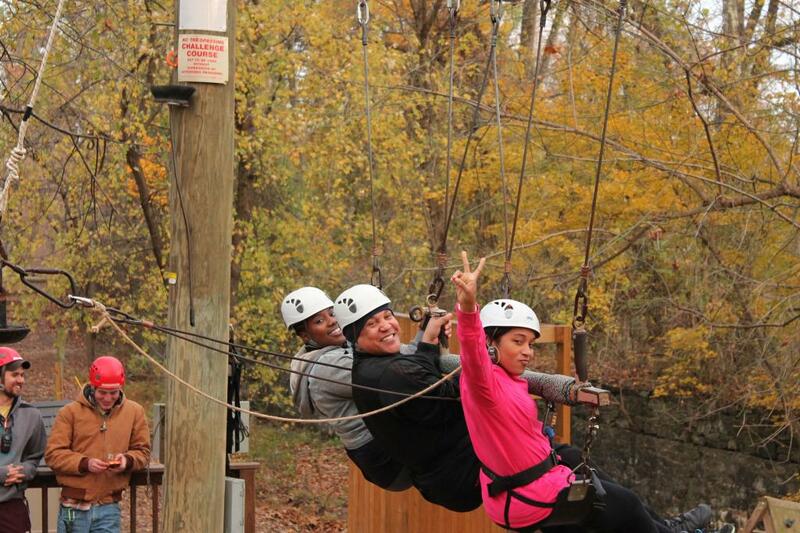 Conveniently located between Baltimore and Washington DC, Terrapin Adventures is uniquely suited to provide a team building solution for any company, both onsite and offsite. Our experienced staff is able to create a customized program designed to meet your unique needs as an organization. Our group facilitators and guides will lead your team through unique events, challenges, and trust exercises that will help them think creatively and collaborate with one another. And all of our team building efforts conclude with a debriefing, where the group facilitators and guides relate the day’s team building activities into your group’s daily corporate workplace challenges. This entry was posted on Sunday, January 22nd, 2012 at 7:06 pm. Both comments and pings are currently closed.